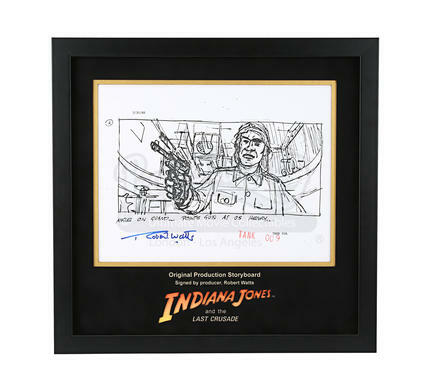 A signed and framed, production-used storyboards from Steven Spielberg's 1989 classic adventure film, Indiana Jones & The Last Crusade. 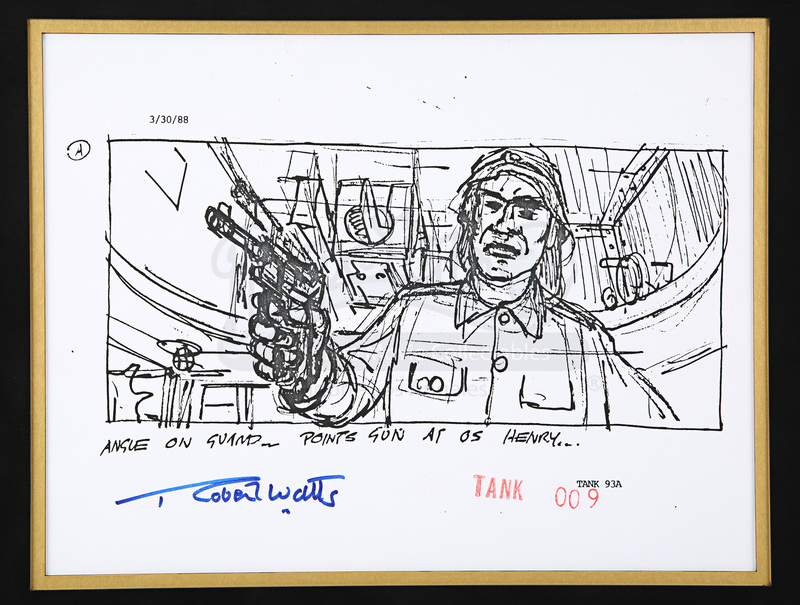 Pages such as this were integral to the creation of the movie and enabled the team to visualise each shot early on. 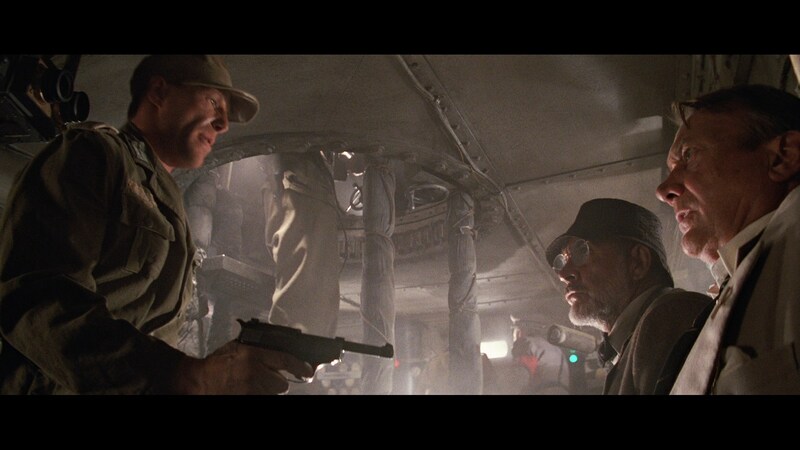 This illustration shows shot from the exciting sequence where Indiana (Harrison Ford) chases the Nazi tank on horseback, to save his father Henry Jones Sr (Sean Connery) and Marcus Brody (Denholm Elliot). The illustration shows an armed soldier as he points a gun at Henry. The shot itself does not appear as storyboarded, although a soldier does point his gun at Henry and Marcus. It has a short description underneath the illustration and is dated '3/30/88'. It has been signed in blue pen by Robert Watts, who was a producer on the film. Hole punches at the top show that these pages would have been held as part of a sequence. 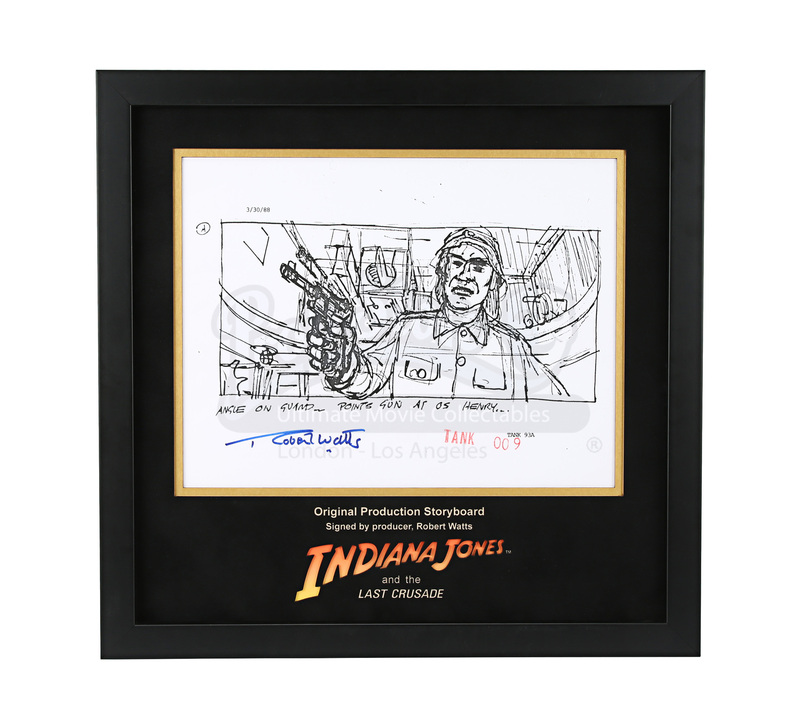 The storyboard comes presented in a custom-built display with laser cut mount board featuring the movie title and brief description. It remains in an excellent condition.